MOVE IN READY! Hidden Gem on cul-de-sac. 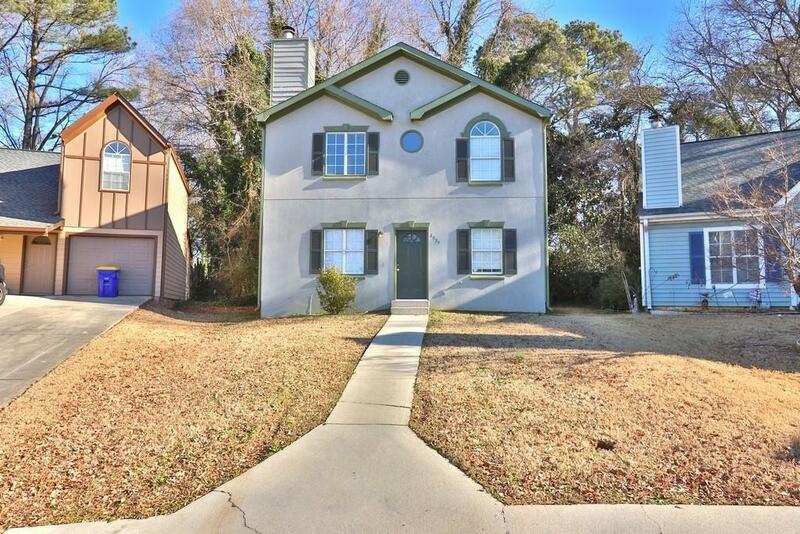 3 bedroom, 2 ½ bath offers lots of usable space, large windows for natural light & private backyard. Main Floor has spacious living room with cozy fireplace. French doors for the bedroom with ½ bath, hardwood flooring, neutral fresh paint. Spiral staircase takes you to loft area and roommate floorplan of 2 spacious bedrooms & 2 full baths. Conveniently located near downtown Kennesaw, Adams Park, great shopping, restaurants & Kennesaw State University.